On the other side of the wardrobe, C. S. Lewis took us to a land of giants, dwarfs, white witches and, of course, a lion. His delightful stories of high adventure are the framework around which Lewis wove lessons of lion-sized relevance for Christians and non-Christians alike. 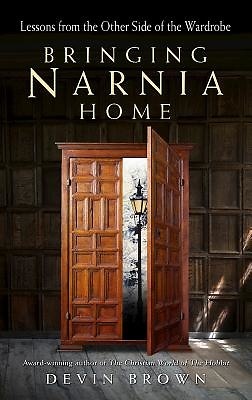 Bringing Narnia Home, by noted Lewis scholar Devin Brown, is a wise and whimsical look at the important values taught in the Narnia series. It’s the perfect book for the Narnian in each of us, and a great choice for book groups, church groups, and high school studies.